Ukraine comes to the company Aigle Azur. French airline Aigle Azur first time on April 18 will go to the Ukrainian market and will launch flights from the airport “Borispol” in Paris (France). 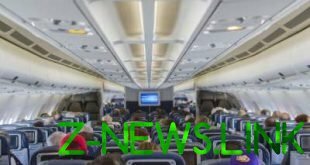 This was announced by the President and CEO of the airline Franz Ivlen. According to him, the flights will be operated three times a week, in particular, from Kiev on Fridays, Sundays and Wednesdays. “We expect that the flights will be operated all year round, and in the future flights will be 7 times a week,” said the CEO. Ivlen also noted that this year expect to carry about 16 thousand passengers. “Between Kiev and Paris travels approximately 160 thousand people, and we expect to occupy 10% of this amount”, he said. The price of a ticket Kiev – Paris in both directions ranging from 270 euros.